Score for the feature film directed by Ridley Scott, produced by David Puttnam. SPECIAL JURY PRIZE CANNES FESTIVAL 1977: IVOR NOVELLO BEST SCORE NOMINATION 1977. Video and audio clips may be available on YouTube. 1. DREAM REPAiRMAN - a biography by Howard's close friend and top film editor Jim Clark which mentions the ill-fated score for the Dustin Hoffman film 'Agatha' on which they worked. 3. THE ENCYCYCLOPAEDIA OF FILM COMPOSERS - a tome that tries to detail all of the well-known film composers since the start of cinema including a feature on Howard Blake. How do you pull off an historical epic film in just over an hour and a half? Ridley Scott did so in his 1977 Cannes-honored The Duellists working from screenwriter Gerald Vaughan-Hughes' adaptation of a Joseph Conrad short that deftly dashes across 58 scenes spanning 6 discreet epochs inside 16 years, all within a 96 minute movie (not counting credits). Call it "The Mini-Epic." To help the audience keep balanced on its collective time- and location-traveling toes (every 1m45s, on the average), Scott also had the sense to employ Howard Blake for a simple yet highly effective Romantic score that acts as the film's anchor. It returns again and again from opening through closing titles to a flexible main theme varied in each usage to resonate differently with the film's diverse cast of characters and compositions. Impossibly perfect cinematography certainly didn't hurt the film's success, nor did influences from Tarkovsky, Jancso, Kobayashi, Kubrick, and, well, Ridley Scott (he'd directed 1500 commercials by this point). Still, the theme—even when divorced from its intended images—remains addictively listenable in all its permutations and instrumentations, exploring at different times both the shared as well as conflicting passions of the film's two opponents: honor, duty, sadness, longing, and love. Other unique highlights include the duel cues (sonic psychological portraits) as well as a sui generis Prokofiev pastiche for the film's most self-contained yet pivotal scene in the wintery wastes of Russia. 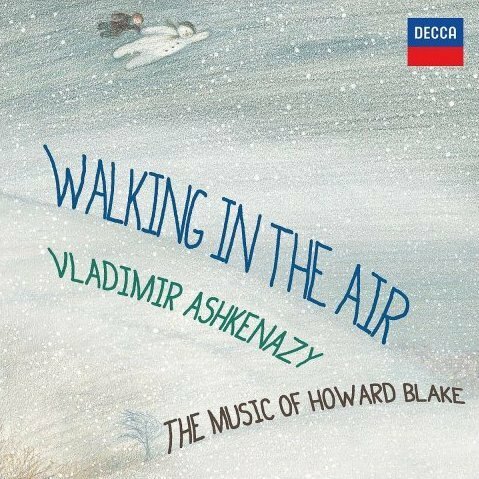 Original Review: For many years, much of Howard Blake's film music output has remained unobtainable on CD. Up until recently, only The Snowman has been widely available to collectors, and his score for the classic Raymond Briggs animation remains his most popular work to date. Thanks heavens, therefore, for producers Ford A. Thaxton, Christopher Landry and the people at Super Collector, who have followed up the release of Flash Gordon and Amityville 3D earlier this year with this superb album from the Airstrip One label, combining two of Blake's most highly-regarded, yet hitherto unheard works. The Duellists was a 1977 film, notable in film history for being the debut feature of a young British director named Ridley Scott, who would later go on to create such classic pieces of cinema as Blade Runner, Alien and Thelma & Louise. Based on Joseph Conrad's classic novel of honour and obsession "The Duel", the film starred Albert Finney, Tom Conti, and Keith Carradine and Harvey Keitel as two soldiers in Napoleon's French army who, following a disagreement, embark on a bitter 20-year rivalry, during which the two engage in a series of violent duels across the battlefields of Europe. 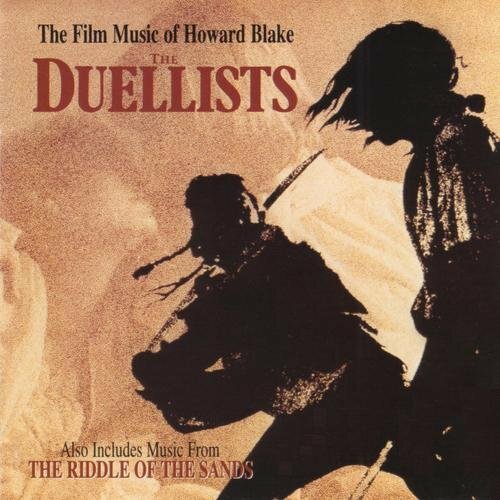 Blake's music for The Duellists is essentially a one-theme work - but what a theme! Presented in its entirety in the opening (but ultimately unused) cue 'The Duellists', the theme is a large-scale, lush, but poignant, as if the music itself knows that the bitter rivalry between Keitel and Carradine can only end in tragedy. It has its roots in the meaningful music of the French renaissance, and effectively carries the emotion inherent in the story, but despite the undisputed beauty of the music, the fact that it is rather repetitive is it's only weakness. To give him his due, Blake does try to vary his styles of performance: as authentic Gallic source music in 'Mme. De Leon's Salon', with hesitant strings in 'Opening Titles', as an expressive piano solo in 'Laura', and so on. The duels themselves are scored with a series of wildly impressionistic flourishes, notably with rampant, highly dissonant string work in 'Cavalry Duel', resounding percussion in 'Pistols', and icy harp and piano scales in 'The Final Battle in the Woods'. In addition to these, there are a couple of interesting diversions to maintain interest, such as the fife and drum of 'Military Life', the Renaissance-style light-hearted pageantry of 'Armand and Adèle', 'The Château' and 'The Marriage', and the vibrant (but short!) 'Jubilation'. In contrast, by far the most effective cues are the last ones, 'The Lonely Walker' and 'End Credits', in which the music acts as a final epitaph, and sounds almost heartbroken and hollow, a musical echo of the state of mind of the ultimate victor in the series of duels who, having finally vanquished the object of his lifelong obsession, realises he has nothing else to live for. The Riddle of the Sands, directed by documentarian Tony Maylam, is a desolate spy thriller based on the 1903 novel by Erskine Childers (who would later go on to form the Irish political party Sinn Fein). It stars Simon MacCorkindale as a yachtsman who, while out sailing in the North Sea off England's east coast, accidentally stumbles across what looks to be a German plot to invade the country, using the remote Frisian Islands as a staging post. Featuring Michael York, Alan Badell and Jenny Agutter, The Riddle of the Sands was actually something of a commercial flop, and despite being released in the UK during 1979, didn't make it to American shores until early in 1984. As with The Duellists, the thing which The Riddle of the Sands has going for it is the strength of its main theme, a powerful, lyrical melody which Blake freely admits was influenced by Wagner's Ring Cycle. In the opening statement the music is accompanied by a choir singing in German, a beautifully poetic song entitled Geheimnis des Sandes, which adds volumes to the mysterious, potent energy provided by Blake's music. Unfortunately, the vocal version of the main title was omitted from the final cut of the film, and is being presented in this form for the first time here. The theme is recapitulated, to great effect, in further tracks such as 'A Walk in the Dunes', where the melody is led by a series of plaintive woodwind solos, 'Rowing Ashore', where it is accompanied by the orchestra eddying in time with the ocean currents, and 'Carruthers Reboards the Train', where it is performed with muted heroic gusto by the brass section. But, unlike The Duellists, The Riddle of the Sands builds up an interesting series of sub-themes, often playing against and in counterpoint to the main melody. A dark, ominous two-note motif for the German invaders, and the turncoat agent Dollman, is first heard at the end of 'Sailing', and features in later cues such as 'The Inn', 'The Kormoran Moves In' and 'The Train to Emden', while the theme for the Jenny Agutter character is a subtle variation on the "antagonists theme", and is heard performed by mysterioso strings in 'Barge Building', 'Into the Fog' and others. A unique piece in the score, 'Sailing' is a sprightly scherzo for a bed of strings which takes on the carefree, undulating quality of the ocean. It's quite astounding to realise that, considering the amount of talent he obviously has, Howard Blake's career as a film composer has never developed in the way it should. He has scored only two films in the last eight years - A Midsummer Night's Dream and My Life So Far - and is hardly ever mentioned when lists of great British film composers are compiled. It makes you wonder just what might have happened if the American executives had allowed Blake to score Alien, as Ridley Scott originally intended, instead of Jerry Goldsmith. What ifs and maybes aside, this is still a superb album, and a timely reminder of the talents of Howard Blake. If "Walking in the Air" made a shiver run up your spine without you knowing why, this CD provides the answer. THE DUELLISTS composed and conducted by Howard Blake. Performed by The National Philharmonic Orchestra. Recorded and mixed by John Richards. THE RIDDLE OF THE SANDS composed and conducted by Howard Blake. 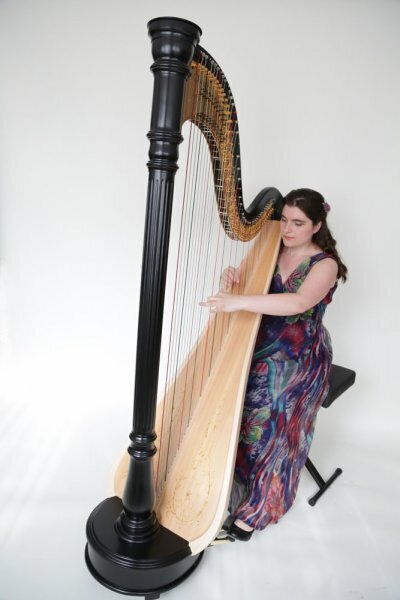 Performed by The National Philharmonic Orchestra and The John McCarthy Singers. Choir conducted by David Shaw. "Geheimnis des Sandes" lyrics by Christopher Geer. Recorded and mixed by John Richards. Album edited and remastered by James Nelson. Album produced by Howard Blake, Ford A. Thaxton and Christopher Landry.